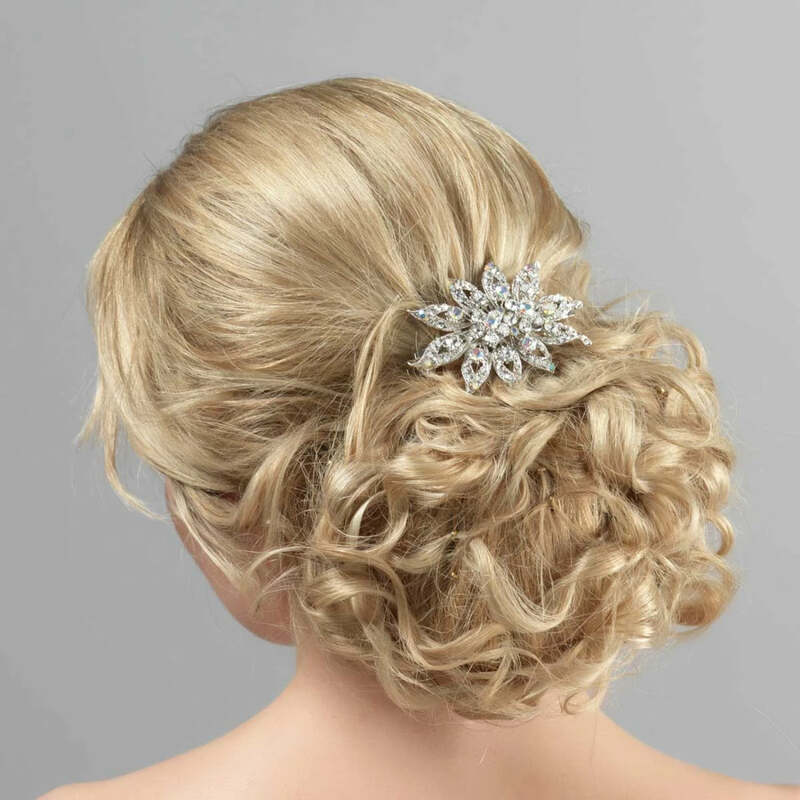 Romantic and enchanting, this divine flower hair clip is utterly fabulous. Oh so romantic and charming, this divine silver tone flower hair clip is mesmerising. 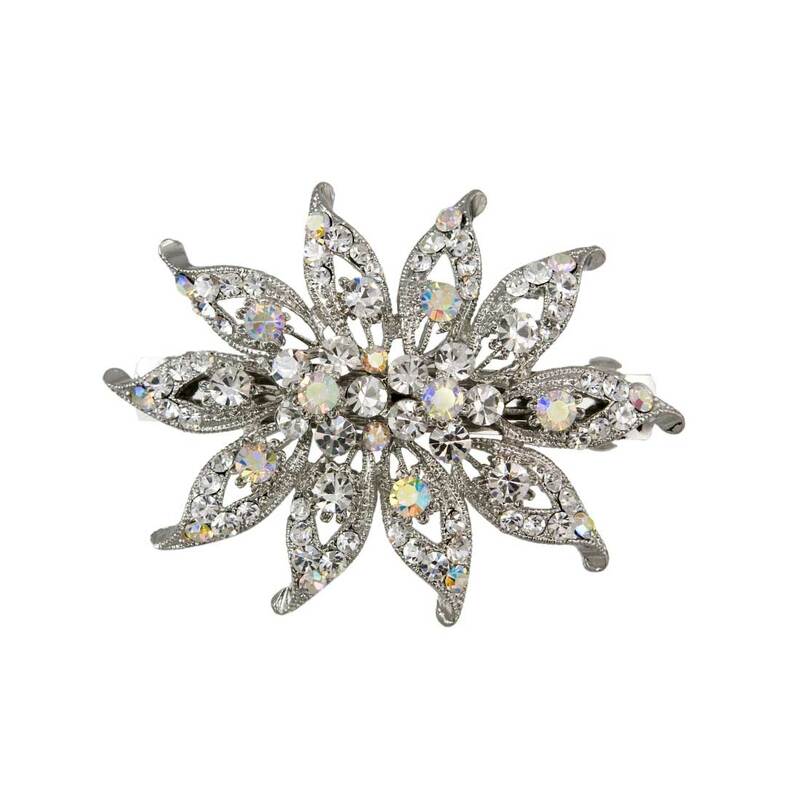 Featuring ten petals with a double floral centre encrusted with clear and AB Austrian crystals, this 'piece' looks fabulous pinned to the side of the head in loose curls, randomly placed in a feminine tousled chignon or to adorn an elegant French pleat. Perfect for brides and bridesmaids who adore sparkling floral hair accessories, this looks just exquisite teamed with coordinating earrings for classic, timeless yet dazzling style.